Malaysian telecom and digital media conglomerate Astro Group’s miseries continue. 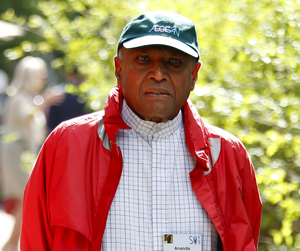 In the latest development, the 64-year old deputy chairman of Malaysian billionaire T Ananda Krishnan’s Astro All Asia Networks, is reported to have resigned. Citing anonymous sources, a report in an Asian regional publication Asia Sentinel said, Augustus Ralph Marshall, known to be Krishnan’s right hand man, has resigned from all the posts he held across firms under the Astro umbrella. Marshall was the executive director and deputy chairman of Astro All Asia Network, which is the parent of Getit Infoservices Pvt Ltd, the beleaguered Indian company that operates several digital businesses in India. In 2014, Marshall, along with Krishnan, were named in the charge-sheet filed by Indian investigative authorities against then communications minister Dayanidhi Maran and his brother Kalanithi Maran. The duo is facing criminal charges pertaining to Astro Group’s investments in the DTH arm and FM radio business of Chennai-based Sun Group founded by Kalanithi. Marshall and Krishnan are also being investigated in India and Indonesia over the transactions between Astro Group companies and mobile services firm Maxis. Last month, Maxis-owned Aircel got merged with Indian billionaire Anil Ambani-led Reliance Group’s Reliance Communications. Earlier this month VCCircle had exclusively reported that AskMe is headed for a wind-up as Astro rejected the Indian management team’s buyout offer. Astro Group has been looking to sell all or part of its stake in Getit Infoservices, which operates online grocery and local search, ecommerce, furniture and ewallet businesses under the AskMe brand. Astro All Asia Networks had acquired a 50% stake in Getit in 2010. The initial investment was $22 million, according to data from VCCEdge, the research and and analytics division of News Corp VCCircle. The group, which currently owns 98.5% stake in the company, has been embroiled in a bitter fight with the management of Getit Infoservices over allegations of financial irregularities and also, non-payment of dues to employees and other stakeholders. AskMe, which has 4000 employees and 1000 vendors, had suspended operations in August. Several media reports suggest that most of the employees have been fired and operations have been shut down at various AskMe Group firms that include the listing services site AskMe.com, hyperlocal horizontal marketplace Askmebazaar.com, grocery e-tailer Askmegrocery.com and online furniture seller Mebelkart. AskMe’s chairman Sanjiv Gupta had reached out to the Astro Group thrice in the past three months proposing a management buyout but his offer was not accepted. Meanwhile, Astro is seeking a winding up of Getit and recently told VCCircle that it will leave it to the liquidator appointed by the court to find a potential buyer for it.